365 ONE: day 260…No Fun Fair…Just Rain! Day 260: September 24th, 2012 = COMPLETE!!!!!!! Firstly…the little monkey is still in the belly…so two days late now. He’s still in there fighting to get some elbow, knee, body, well, any kind of room! I am still getting lots of pressure and pains, which makes me want to move around or shift positions or something…but this lovely UK rain just hinders me walking around the block. The coins are just hanging off the ledge waiting to be pushed off and make me rich!! And then they get you as there are bank notes just hanging there too…that appear to just need a slight nudge by me putting in one coin! Just one coin…or one more…or how about a few more….arghhhh now my pockets are empty!!! Soooo annoying!! And I know I can’t get those notes but what if…I mean, WHAT IF, I can do it???!!! I find these way more fun than slot machines …although my dad and I also like the claw machines that can grab a toy – sadly also annoying and hard! But strangely addictive! 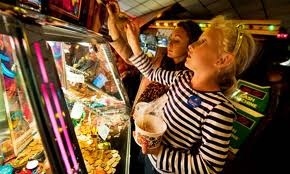 We’ve won a toy before but at this fun fair we all walked away with nothing! So, I was hoping to go back and get something after I spent all those coins! I would feel better if we walked away with something! You know, and redeem ourselves! But, no, the rain wouldn’t let me….so we missed out 😦 Which probably is best in the financial long run I guess! And again it was raining out today – pouring this morning – but cleared enough to have a quick wander out in the late afternoon. However, with this pressure and pains it feels like the little monkey could come anytime so I have to be careful with how far I go. But tomorrow’s forecast is RAIN….surprise surprise!! Day 259: September 23rd, 2012 = COMPLETE!!!!! Horrible out today in merry and sunny (not) ol’ England! It has been raining ALL day long!!! ALL DAY LONG!!! Such a pleasant environment, hey!!! It’s a perfect time to watch movies and do nothing under the covers…but I am not good at doing that when I have so much on my mind…and so much going on inside my belly!!! The little monkey is still here with us….or rather, he is still crammed and crunched and putting a lot of pressure on me and pains but still from the inside! However, a good friend of mine said that the little monkey should wait to come out until after the 23rd so that he would be past being on the cusp of two astrological signs…which I know nothing about! I mean, I know literally nothing about signs and what they represent, so would never consider that, but I think though that the little monkey was listening to his Auntie as he has remained from saying hello in this astrological cusp! It appears I make sense to them after I have revealed to them what sign I am????!! What the??!! Still so foreign to me!! I am not going to offend anyone as I know people really believe in it all…I just don’t. I mean, I don’t know enough about it….but I am a little hesitant with it all. Sorry believers!! Do people who really believe in signs…do they plan their babies around it? Is that a real thing? 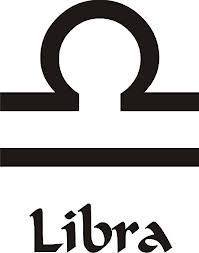 Well, as we reach the end of the 23rd of September today this therefore means no cusp now, and the little one will therefore be a Libra….is that a good thing or a bad thing? What does a Libra mean? Day 250: September 14th, 2012 = COMPLETE!!!!!! Last night late I started to get a sore throat. Randomly. At like 11pm. 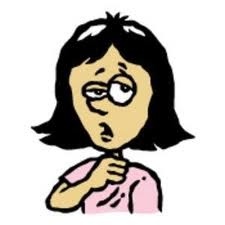 Woke to such a sore throat…scratchy….hurting when I swallow….all the many times I woke up in the night. And then this morning I felt like crap. And I can’t take anything so I have been salt gargling and drinking tea and hoping this, whatever it is, will pass! PLEASE!!! Have been sneezing a lot though now too in the last few hours…ugh. I hope I am not getting sick, seriously….I mean seriously??????!!!!!! Do I really need something else right now? Do I not have enough to deal with already??????!!!!!!! Off to drink more tea and gargle some more salt. 365 ONE: day 244…Crammed In There Little Monkey? Day 244: September 8th, 2012 = COMPLETE!!!!!! Was up early today. And no sleep. Sleep is getting worse….I can feel movement and I am uncomfortable in every position, and feel like I’m cramming the little monkey in any position. And then I’m awake and have to pee….lovely cycle!! Every single night! Anyway, I had to be up early because we had someone coming in to do some work on the flat I am staying in, something that was planned a while ago for when the flat will be rented out again, but also would be useful for us, so my mum wanted it to be done before the little monkey comes. I am at 38 weeks now which apparently means that the little monkey is at almost 20 inches and there is just no room in there. Seriously. How can that length fit in my belly???? Seriously! It must be crammed cabins in there. Tight quarters! 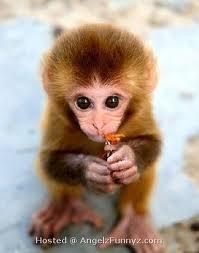 And the little monkey is moving around A LOT!!! He is obviously not happy. He is fighting for some room in there. I feel bad that there is no room in there. Sorry little monkey that I’m not sleeping well and not letting you sleep, or schmooshing you in my positions. I’m sorry I’m short little monkey. I’m sorry I’m eating and making less room in there for you little monkey. I don’t know where you a fitting right now but I sense from all your movement and pressure you are giving me, that you’re crammed. I don’t blame you little monkey and I will put up with all that for you. And if you want to come out earlier little monkey because you need more room, I won’t blame you either.